The fact that her day to day life is no different than most of ours. We all face different struggles, but at the end of the day we just don’t want our kids to suffer. On Facebook: Illinois Parents of Transgender & Gender Diverse Children, is a secret page for parents to provide support to one another. Please reach out to the Modern Mom Society to put you in contact with someone who can walk you through the steps to be added. Facebook: Allies of transgender children and Parents of transgender children, are secret pages for parents to provide support to one another. 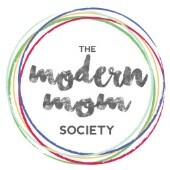 Please reach out to the Modern Mom Society to put you in contact with someone who can walk you through the steps to be added. They tell you you are never prepared to be a parent but until someone put a tiny human in your hands and tells you its your job to keep it alive you don’t realize how scary and exciting it is! Thankfully every day you are learning the same as your child is and you will always be your child’s and family’s biggest advocate for their everyday wants and needs. Its terrifying, its rewarding and it’s completely worth it. Patience. Having 2 under 2 years apart has taught me to choose my battles, that stepping away and taking a deep breath is sometimes the best thing for everyone, and accept help from everyone who offers. I have always been a very independent person and was raised to do it all alone but being a parent its taught me that it isn’t possible and that’s completely okay. Hi! My name is Dee McCord, mother of 2 amazing children. Levi is 3.5 and a cis (biologically) male and Noella (or Ella as we call her) is 5.5 and she is a Transgender female (born male transitioned socially to female). I am originally from South Florida but after many moves all over the country I made my final move to Chicago in 2012 and this is definitely where we call home. I am also the owner of The I Do Company which is the brand for 4 companies; The Shapiro Ballroom, I Do Dance Studio, I Do Events Chicagoland and I Do Events Staffing. I am a single mother who works (more than) full time but more than that I am the biggest advocate I possibly can be for both of my children. I am proud to be an activist for the LGBTQ+ community and use my resources in the event industry to give back to the community and speak out for all families and children.